Our socks are well and truly out after hearing this banger! 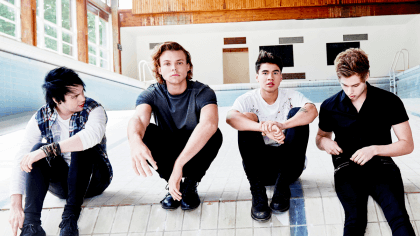 5 Seconds of Summer kicked off their first headline tour with a bang last night in Portugal – by playing a brand-new tune called Permanent Vacation! The opening night of the Rock Out With Your Socks Out tour took the fellas to sunny Lisbon where thousands of lucky 5SOS fans got to hear all the hits, like Don’t Stop and She Looks So Perfect! Plus, Michael, Luke, Calum and Ashton also played new track Permanent Vacation live for the very first time ever, EVER in the WORLD! 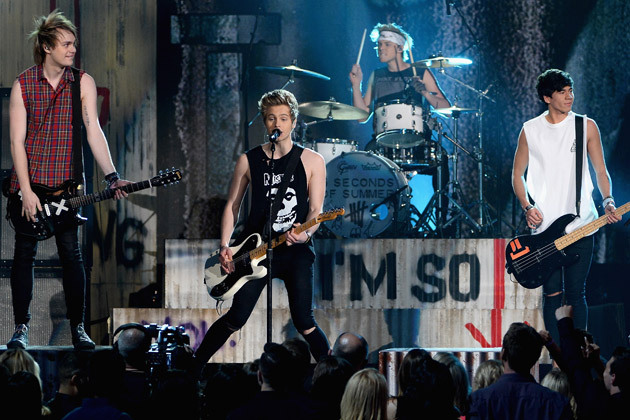 Click here to play the 5SOS Memory Game! It’s one of the songs the boys have recorded for their second album, which they’re busy working on right now – well, in between the touring all over the globe thing, anyway. Judging by the Lisbon show, if you’ve got tickets to the ROWYSO tour then you’re gonna be in for a real treat when they reach these shores at the end of May!